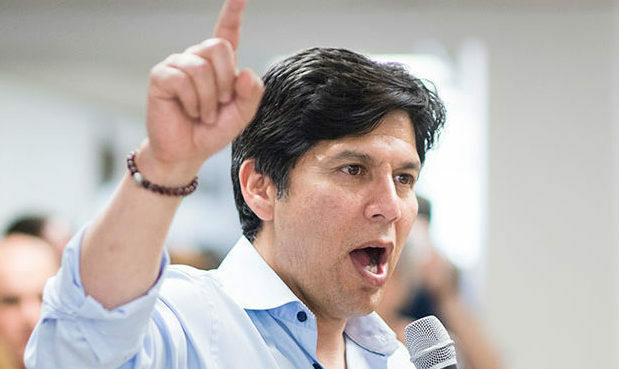 As president pro tempore of the California State Senate, Kevin de León has led the 40-member Senate body to historic accomplishments that have established California’s reputation as a recognized global leader in addressing climate change. Kevin led the California delegation to the United Nations climate talks in Peru and Morocco and accompanied Gov. Brown to Paris in 2015 to showcase California’s landmark accomplishments. Kevin wrote SB 100, the law signed by Governor Brown in September that committed California to 100 percent carbon-free electricity by 2045. Kevin has included regenerative agriculture and soil carbon sequestration in key climate legislation. He was the Senate author of the 2012 bill championed by the California Climate and Agriculture Network that made it possible for public funds from California’s greenhouse gas cap-and-trade program to be invested in regenerative agriculture practices that sequester greenhouse gas emissions. This is the law that eventually resulted in the California Healthy Soils Initiative. The Carbon Cycle Institute applauds the Pro Tem’s effort to fund critical drought and conservation projects. As California’s $50B agricultural industry struggles to adapt to changing climates, climate smart agricultural practices that improve soil health and carbon and allow them to hold more water will be increasingly important. This effort could help fund farmers to implement healthy soils practices. Vote for Kevin! To support his campaign, please donate and get involved.